More people the world over are buying laptops than desktops, for a couple of years now. With so many different laptop models and endless hardware configurations to choose from, how do you single out the one worthy of purchase? 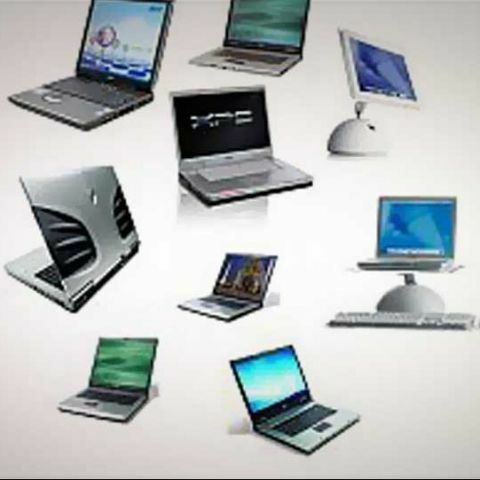 A cash-strapped consumer shopping for a notebook PC on a tight budget or an entertainment junkie looking to replace his aging desktop with a powerful all-purpose laptop, in the next couple of pages, we outline some ground rules to remember and abide by when you’re researching for your next laptop buy. This is the heart and soul of your PC, an important cog to consider. For the budget-conscious customer, remember that shopping on a budget isn't without its compromises. You may well desire but can't have the latest and greatest CPU clocked at 2.8-GHz, for it will surely upset your budget -- so don’t consider the latest Sandy Bridge Intel CPUs, for instance -- older generation laptop CPUs still abound and laptops selling them are often available for a huge discount to clear of all older stocks and piling inventories -- keep a close eye on retail store offers published in the daily newspaper for a great deal. And since you aren’t trying to do a whole lot with an entry-level budget laptop, a dual core processor clocked at 2-GHz, either from Intel or AMD, should be just fine. To save money even further, we've found that AMD processors are generally cheaper than Intel's -- but Intel processors are generally better performers. For someone interested in buying an all-purpose home laptop, where price envelops are higher, skip past the latest Intel Core i3-2310M, for instance, and concentrate on purchasing a notebook running on an Intel Core i5-2410M minimum. If you’re interested in AMD processors, ignore laptops sporting an AMD Turion X2 and zero in on laptops that have an AMD Phenom II processor, minimum. Apart from the processor, the cheapest and best way to get a quick performance boost in any computer is to beef up its system memory or RAM. Most pre-configured laptops these days offer at least 2GB of RAM -- it’s pretty much the standard. What we recommend you to do is to upgrade system memory or RAM from the get-go, don’t wait to do so when your system starts getting sluggish a year down the line. If you're having your laptop built to order at a vendor's website, don't hesitate from adding extra RAM then and there. If you’re buying laptops off the counter at an electronics store, ask for a range that has more than 2GB of pre-installed RAM. Upgrading to 3GB or 4GB may seem like overkill initially, but if you want to hang on to the laptop for a while, that extra memory will be money well spent and keep your system motoring along longer. For a budget-conscious customer, stick with at least 2GB of RAM on your laptop -- any lower and we’re talking about netbooks, not laptops. For those desiring an all-purpose laptop, a minimum of 4GB of RAM should be good enough for handling multimedia, entertainment and casual gaming, apart from every-day tasks. In case of upgrading your laptop’s RAM, make sure you double check the maximum clock timings supported on your laptop’s RAM. While buying two sticks instead of one, don’t buy RAM from different manufacturers, stick with only one manufacturer to save a good amount of troubleshooting time. Ideally, buy two identical RAM sticks -- manufacturer, clock setting, capacity, etc. If there’s one thing to be glad about personal computing and technology in general today is that storage costs have dropped a lot. Cost per GB is the best it has ever been and it’s expected to go down even further in the coming months. This is good news for budget-conscious laptop buyers because it eases their woes a bit. But having said that, opting for a fatter, faster hard drive is still going to eat into your budget and be more expensive than buying a slower hard drive with less space. Settle for a 160GB or 250GB hard drive with a 5400rpm spin speed -- which is still the de facto on most budget notebooks -- instead of lusting for that 320GB drive spinning at 7200rpm, unless you really require it. Don't even think about SSDs, they’re unfortunately still out-of-range for all budget and most all-purpose laptops even today. SSD prices, too, are witnessing significant price drops but they are still a fancy of high-end performance laptops and premium ultraportable laptops. In a couple of years, SSDs available on a budget laptop selling for Rs. 30,000 to Rs. 35,000 should become a tangible dream, going by the massive price drops in existing storage drives. A laptop’s display screen still remains a subjective preference. While a 13-inch laptop will suffice for a jet-setting executive, a 17-inch laptop screen is what an entertainment junkie desires from his desktop replacement notebook. Choosing between glossy or matte screen displays is still a matter of personal preference, but we think a glossy display is best for viewing movies and gaming while a matte screen is more apt for reading text for extensive hours. These days it’s difficult to get a laptop that comes with a 1280x800 pixel resolution -- a norm on notebooks only a few years back in 2008. Nowadays, a laptop, whether it’s 13-inch or 15.6-inch wide comes with a standard 1366x768 pixel resolution widescreen display, with a 16:9 aspect ratio -- best for fitting in HD videos, whether they’re beamed at 720p or 1080p. So if you’re out to buy a budget laptop, you’ll be hard pressed to find one which doesn’t have a 1366x768 pixel resolution screen -- whatever it’s size. But the choices are a little wider for someone with more cash to spend on an all-purpose home laptop for entertainment or multimedia use. Some laptop vendors are known to cram in a higher-resolution display in a small screen size -- for example, a full-HD 1920x1080 pixel resolution screen in a 15.6-inch frame size. While there are popular intermediary screen resolutions on offer -- 1440x900, 1600x900, and so on -- you should choose the best bet within your budget. And remember -- don’t try to get 1080p resolution screen in a small frame (15-inch) as it can be difficult for reading text on native resolution. Most laptops, in all price brackets, come equipped with a TN panel screen -- none of them let you choose what type of panel to have on your notebook. As a result, viewing angles of almost all laptops are nearly the same -- give or take a few degrees. IPS panel displays are obviously expensive, given their superior quality compared to TN panels. Another thing to consider while deciding between a 14-inch or 15.6-inch laptop is this: larger a laptop’s screen, larger is its overall weight. So pick wisely. Picking a graphics processing unit on your laptop is bit of a misnomer. Generally, you choose a laptop that has your desired GPU inside, not the other way round. For changing RAM within a laptop is feasible, while GPUs is another matter altogether. If you are not going to game on your laptop and are content with watching regular DVD movies, then onboard graphics should be enough to cater to your needs. Casual gaming and HD video content opens the door for a discrete graphics card. For someone who’s buying a budget laptop with discrete graphics, we recommend looking at laptops with older generation hardware -- Nvidia GeForce GT 400M and ATI Radeon HD 5000M series graphics equipped laptops are still available in the market, so you should be able to find a really good bargain in an electronics store or on eBay. Multimedia and gaming enthusiasts looking to max out their credit limit should look at the latest AMD Radeon HD 6000 and Nvidia GeForce GT 500M graphics series, for gaming with latest generation DirectX 11 games on your laptop’s native resolution. Your minimum benchmark? Nvidia GeForce GT 525M or AMD Radeon HD 6570M, aim above them for a decent mainstream gaming experience on your all-purpose home laptop. A laptop’s battery life is a matter of personal preference and a factor of intended usage -- which may vary significantly from person to person. On average, a mainstream laptop with a six-cell battery will last for up to 3 to 4 hours on a single charge -- laptops powered with ULVs or Ultra Low Voltage processors last longer, netbooks last longest. If you don't expect to go mobile often and intend to use your laptop largely at home, don't bother with a bigger battery and stick with the standard battery bundled with the laptop. If you'll be bringing your machine on the road regularly, start looking at higher-capacity batteries for the next long haul. And don't trust vendors' battery-life specs -- many of them quote times for their laptops configured with higher-capacity batteries and with many of the notebook's features turned off (dimming the screen brightness to nothingness and shutting off Wi-Fi, for instance). Also realize that a laptop configured with a quad-core Core i7 processor, several gigabytes of fast RAM, dedicated graphics and fast-spinning hard drive is going to eat up its battery at a considerable faster pace compared to, say, a netbook which has a single-core low-powered Atom processor, single GB of RAM and a slow-spinning hard drive. Most modern mainstream laptops these days come with automatic graphics switching built-in -- Nvidia GPUs have Optimus, while AMD GPUs have a toggle switch built into Catalyst Control Center. But as a rule, you forgo on battery life the minute you start climbing higher up the performance ladder -- be it laptops, mobile phones, or any other battery-powered gadget. Another subjective feature, there are a few ground rules in distinguishing and selecting a laptop with a good quality keyboard and trackpad. Almost every laptop sold these days sports a keyboard with chiclet-styled, isolated keys. Even among them, a keyboard with curved key design is better for typing compared to flat-top chiclet-keys, simply because of the better ergonomics. Look for keyboards that don’t short-change the sizes of important keys like alphabet, Shift, Space, Alt, Enter, Tab, Control and direction keys. It’s difficult to find a dedicated number pad on a 13 or 14-inch laptop, so if you’ll be doing a lot of accounts number-crunching on your laptop, opt for one that has a dedicated number pad. Trackpads are easy to spot. Generally, stay away from trackpads that have a glossy, shiny surface (like the screen cover of a laptop) which makes tracking difficult and doesn’t provide optimum feedback to the finger when you move it around on the trackpad. Choose a trackpad with textured finish, they’re generally the best for mouse tracking. Also, make sure the mouse buttons below the trackpad are separate and well-built, single-strip mouse buttons can be uncomfortable to use.